COLONIE — Every household and every business and every church and every non-profit organization on the planet generates garbage. What happens to the tons and tons of waste, though, is more complex than remembering to take the can to the curb in time for the truck to come by and pick it up. One can of garbage multiplied by tens of thousands involves profound environmental concerns, big money, almost universal opposition and strict governmental regulations. For some 50 years, the town’s landfill has been the final destination for the majority of municipal solid waste generated in the Capital District. The state Department Environmental Conservation, after a four-year review, recently approved an expansion to the 212-acre site, located off Route 9, known as Area 7. It will extend the landfill’s life from this year to about 2038 depending on how much is taken in, of course. The amount of trash will not increase — up to 820 tons per day based on a 25-day average and not to exceed 255,840 ton per year — but will allow it to continue existing operations for a longer period of time. To put it into perspective, the tonnage per year equals about the weight of 12,790 Toyota Tacoma pickup trucks. In all, Area 7 represents 105 acres that will increase the footprint by 23 acres with the remaining 82 acres expanding vertically — 37 acres over Areas 1 through 4 and 45 acres over Areas 5 and 6. Kubricky Construction is well under way in building Phase 1, a seven-acre “hole” to the south of the transfer station — to the right up the hill from Route 9 — and will have a life of about two and a half years, said Matt McGarry, an engineer for the town, and the next 12- to 15-acre cell will be constructed. 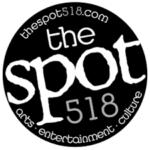 Earlier this year, the DEC granted the expansion permit with some stipulations. The major caveats include shrinking the vertical expansion by 50 feet, making the new height 467 feet from the existing roughly 430 feet above sea level, increasing the setback from the Mohawk River to 500 feet from 100 feet and requiring a DEC representative onsite fulltime to monitor activities. As far as landfills go, the town implements the most advanced technologies to ensure what is buried stays buried, and what gas and liquid is generated by the waste is captured and either treated or utilized. requiring standards that far exceed federal regulations. The new landfill will have what is known as a double composite liner. It is layers of stone and clay and/or synthetic clay and dirt two feet thick that will protect two layers of 6 mil, .06 inches, of high density polyethylene carefully fused together to ensure nothing inside leaks out and nothing outside, like ground water, gets in. Incorporated in the layers are two pumps to capture leachate —the liquid created when municipal waste decomposes — and pipe it to a retention system. “There has never been an instance where ground water was contaminated from a double composite liner,” McGarry said. The federal government requires a double composite liner when dealing with hazardous waste sites, McGarry said. The only difference between Colonie’s municipal solid waste site and a federally regulated hazardous waste site is the liners are 8 mil, or .08 inches, thick. Most states require just a single liner. Once it is filled up, it will be capped using a similar liner to encapsulate the waste while still pumping out what is generated within. The next phase of the expansion will include going over the top of areas of the landfill that do not have a double liner system. The garbage has been there for years, though, and once that section is filled with debris it will be capped with the polyethylene, which is more robust than the current clay cap. The decomposition of waste also generates gas, a mix of methane and carbon monoxide. As waste is added to any cell, perforated pipes are laid horizontally to collect gas. And as it reaches the maximum elevation, a spectrometer is used to find concentrations of methane, and three-foot holes are drilled into the waste and vertical perforated pipes are inserted and surrounded by stone. All the pipes are ultimately connected in a closed system and regulated by a series of valves. The gas is channeled to an onsite, 6.2 megawatt power station, converted to electricity and sold to National Grid. The electricity produced by the landfill generates between $800,000 and $1 million a year in revenue for the town. Understandably, not everyone is happy with the landfill. There is up to eight million cubic yards of trash buried there — which equals about 3.2 million pickup trucks full of garbage — and of course it going to smell. McGarry said every effort is made to mitigate the odor, there is the gas collection system mentioned above and there is a machine constantly spraying odor suppressant chemicals on the mound of garbage. Also, at the end of every day, by DEC regulations, the trash is covered with dirt and clay. Waste Connections, the company contracted to operate the landfill, was recently fined $30,000 for, in part, allowing the dirt and clay temporary cover to erode and expose the garbage underneath. The towns of Halfmoon and Waterford — one neighborhood built along the river long after the landfill was in operation can be seen from the top of the mound — have filed a lawsuit attempting to stop the expansion. Cell construction is well underway, though, and it will be up to a judge to determine if the town can fill it. The leachate collection pond along the river, which is a source of odor, will be removed and instead the leachate will be collected in retention tanks. In all, there are about 12 acres of land not touched by the expansion including along the river and what is ominously known as the “unnamed area,” a hazardous waste site on the north side of the site. Nobody is exactly sure what is buried there but testing done in the 1990s only found contaminated soil. In 2011, the landfill became a political issue when Supervisor Paula Mahan, in an effort to close a multi-million budget gap, agreed to lease the site to Texas-based Waste Connections for 25 years. The deal gave the town $23.8 million up front plus another $33.5 million over the life of the landfill. Despite accounts to the contrary, McGarry said 90 percent of the waste brought to the landfill is from municipalities in four surrounding counties — Albany, Saratoga, Rensselaer and Schenectady — including Waterford and Halfmoon. Also brought to the landfill is sewer sludge and alum, the waste generated from water treatment plants. 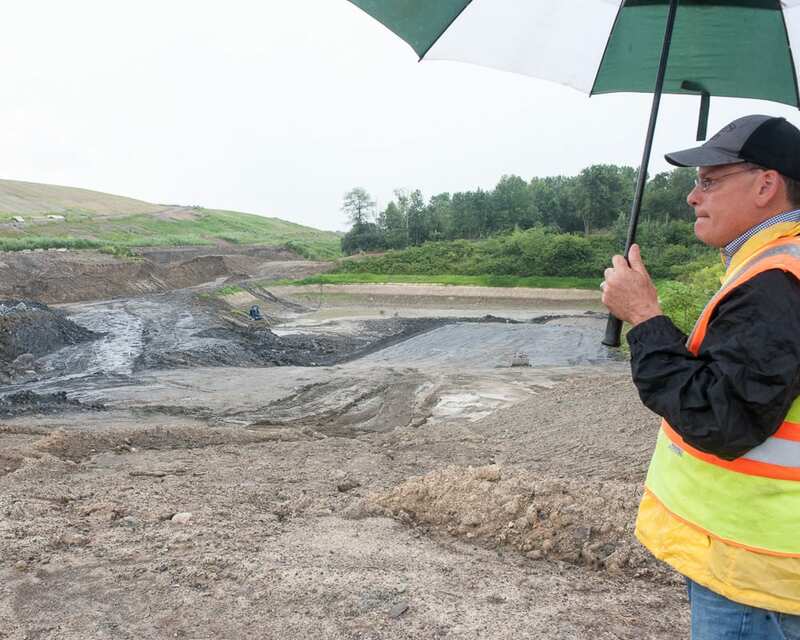 But, the landfill in Albany is down to half days to prolong the inevitable, siting a new landfill took a decade in Herkimer County, the last one in this state, and society demands something be done with its trash … and at a reasonable cost.